As many of our supporters know, JPFO has been compiling an archive of alerts and articles concerning the BATFE (http://www.jpfo.org/filegen-a-m/batfearticles.htm ). Many of these articles and much of the documentation comes from firearms designer Len Savage, who has dealt with the BATFE on many occasions. It was Len Savage who documented the scientifically invalid firearms testing "procedures" of the BATFE (http://www.jpfo.org/filegen-n-z/savage2.htm ). 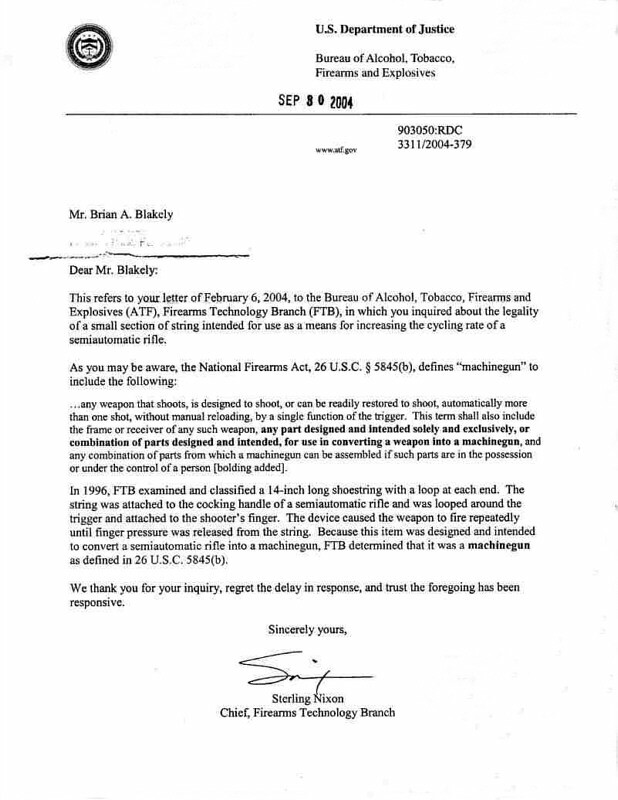 It was Len Savage who provided us with an actual letter from the BATFE claiming a shoestring was a machine gun (http://www.jpfo.org/images02/shoestring.jpg ). It was Len Savage who gained access to the videotape that famously exposed the BATFE's laughable ineptitude and not-so-laughable lack of integrity during these tests -- a videotape the public was never meant to see! (http://www.jpfo.org/filegen-a-m/batfevideo.htm ). It was Len Savage who fought to have H.R. 1603 introduced to Congress, a bill requiring all firearms testing be videotaped (http://www.jpfo.org/alerts/alert20050418.htm ). Now JPFO has interviewed this courageous champion of the Second Amendment. You can hear about Len's personal experiences with the BATFE, the struggle and persecutions he's endured at their hands (particularly since his affiliation with a certain Jewish civil rights organization! ), and his call to action to YOU. This interview CANNOT be missed! Download it today from http://www.jpfo.org/filegen-n-z/talkamerica.htm .